We know about George Washington and Thomas Jefferson when it comes to initial Presidents of the United States. However, beyond that, most external observers tend to know only from Abraham Lincoln onwards. 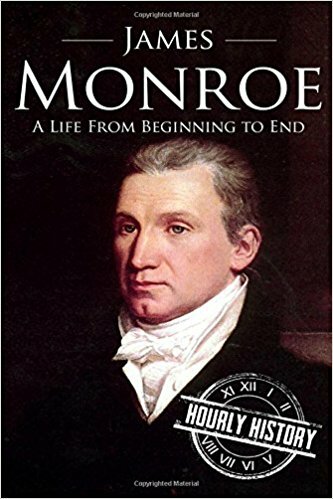 However, the 5th President of the United States, James Monroe – the last of the founding fathers to be President was most famous for his Monroe Doctrine. This is a short biography on the former US President by Hourly History. Monroe was the third time a Virginian became the President of the Country (after Washington and Jefferson). The book starts with his origins in Virginia, from a wealthy slave owning family. It then moves on to his period in the army, where he has fought wars on the side of the settlers and subsequently against the British during the American War of Independence. It then touched upon his time as the United States Ambassador to France, overseeing the Louisiana Purchase. The book then moves on to his two term presidency and his eventual death. The book brought out aspects of US history, which I did not know much about, which is, the period between Jefferson and Lincoln. It also brought out Monroe’s personality as a sound diplomat – wherein he developed relations with France and at the same time, maintains good relations with the British in order to enforce his Monroe doctrine – which stated that Europeans shouldn’t colonise the Americas any further and he needed the British naval support to enforce the same. The book was disappointing that the focus on his two term presidency was not elaborated much and instead, his personal life was given a lot more focus, with repeated mention of how his daughter’s wedding was the first ever wedding to be conducted at the White House. The book was a reasonable read, but there was nothing significantly noteworthy to call it as a must read of Hourly History. I would award the book a rating of six on ten.